As September has rolled around, and teachers, librarians, and homeschool families are making plans for the year, I thought now would be a good time to discuss The Global Read Aloud Project – also referred to as GRA. If you’ve been hearing about the Global Read Aloud Project and want to know more, then this is the perfect podcast for you. I first heard about the GRA last summer on Twitter and was immediately intrigued, but at the time, I was already piloting a new reading program so didn’t want to take on another new thing. But this year, I am ready to go and really excited to be participating for my first time. The questions we’ll answer for you today are: What is the Global Read Aloud project?, What are the books?, Why should I participate?, and finally How can I jump in and get involved? What IS Global Read Aloud? First of all – what IS the Global Read Aloud Project? The GRA was started by educator Pernille Ripp in 2010 as a way to connect the world around one fantastic book. In 2010 that book was The Little Prince and after that, it expanded to include more than one book to target different reading levels, so more children can participate. It really was a bottom up, grassroots project that has expanded every year. This year there are more than 600,000 students signed up already. The Global Read Aloud runs each fall from early October to the beginning of November and teachers, librarians, and parents participate by reading that year’s featured book out loud to their kids over a six week period. This year the GRA kicks off on October 3rd, but you can definitely jump in after that date. The suggested reading schedule is posted on the Global Read Aloud website, which I will link to in the show notes. During that time frame from about early October to early November, your class connects with at least one other group of children, and hopefully more depending on how in-depth you want to go. That connection might involve a Skype session, doing a joint project in a Google Classroom, asking and answering some thought-provoking questions in a shared Edmodo group, or maybe connecting on Twitter. What are the 2016 books for GRA? As I mentioned before, the GRA has expanded beyond just one book to feature several across various age ranges so you can find a good fit for your child or your class. I will be participating as both a parent with my 7 and 9 year old and as a teacher with my 5th graders. The youngest grades do an author study and read six picture books over the course of the project. This year’s featured author/illustrator is Lauren Castillo -you might know her books like Nana in the City, The Troublemaker, and a recent favorite in my house – Twenty Yawns. I defy you to read it aloud without yawning joyfully all through that book! My girls and I will probably end up reading those as well. 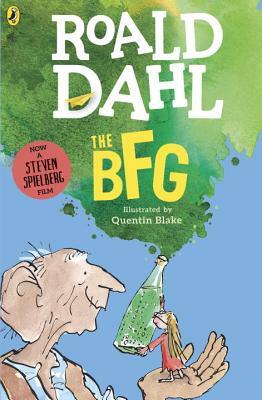 The next GRA book option recommended for ages 7 and up is Roald Dahl’s BFG. I think that’s a great fit with the Spielberg movie released last summer and a huge perennial favorite among adults and kids. 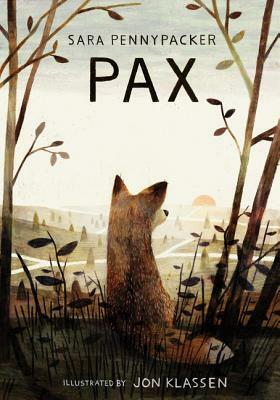 The next read aloud choice recommended for ages 9 and up is Pax by Sara Pennypacker with illustrations by Jon Klassen. Either the BFG or Pax would be perfect for middle grade readers, and I’ll be talking much more about them in our Book Talk segment in a few minutes. If you are looking for something for readers ages 12 and up, then this year’s book is Orbiting Jupiter by Gary Schmidt. And the Young Adult book this year for about ages 15 and above is All American Boys by Jason Reynolds & Brendan Kiely. I have not yet read either of those books but so many of my friends keep talking about them – they are bound to be excellent. Really the answer is two-fold. It’s great for children AND it’s great for you, too! Participating in the Global Read Aloud is an excellent way to have students connecting and collaborating with other kids and classrooms across the nation (and maybe world!) through social media and other online tools. And old-fashioned pen and paper, too if you want! We are a global society and the GRA is a perfect way to build those 21st Century skills we all know are crucial for kids’ success. Aside from benefits for students, there are also lots of benefits for teachers. All the teachers that I’ve spoken with who have done the GRA in the past have loved the connections they make with other educators. It really builds your professional network and also pushes you a bit to try to expand your digital literacy in a new directions. So maybe that’s Twitter, Skype, or Padlet. But whatever direction you decide to go in to make your connections, I know you won’t regret participating. So now that I have got you excited and hopefully sold on trying out the Global Read Aloud project this year, how do you join? The first thing to do is grab a copy of whichever book you decide to read and then go to the GRA main website – www.theglobalreadaloud.com – and sign up right on that main page. It’s really easy to find, and – by the way, totally free. From there, you can find the Google Group and Facebook Group. Also – one of the best places to make connections with other teachers and classrooms are the Edmodo groups designated for each book. There is also an online shop where you can buy this year’s Global Read Aloud merchandise – and all kinds of other reading themed t-shirts and accessories. If you listened to Episode #3, you already know that I went a little crazy there and bought 3 shirts from the shop already. GRA is also on Pinterest (of course!) and you can connect on Twitter using this year’s hashtag #GRA16. Each of the individual books also have their own hashtag for easier sorting – the middle grade novels are #GRABFG and #GRAPAX for Pax. There is lots and lots of other great information on the website – and I’ll link to everything I’ve mentioned right in the show notes. I am really psyched to be joining the Global Read Aloud movement this year and I’m looking forward to seeing all the exciting connections and cool projects that you all are doing as well. In this part of the show, I share with you a few books centered around a theme and discuss three things to love about each book. This week, I’ll be talking about the two middle grade Global Read Aloud options: The BFG by Roald Dahl and Pax by Sara Pennypacker. Roald Dahl’s 1982 novel The BFG is about a Big Friendly Giant (that’s what the BFG stands for) who roams the streets of London with his magical trumpet which he uses to blow dreams into children’s ears. One night a young orphan, Sophie, sees him outside her window. So the BFG snatches her up and carries her off to Giantland. There Sophie realizes that there are nine other giants who are WAY bigger than the BFG and not so friendly. They set off each night to the far corners of the earth to gobble up children. Eventually, Sophie and the BFG come up with a plan to try to stop these man-eating giants. A plan which, by the way, involves the Queen of England. In true Roald Dahl fashion, it’s funny but also pretty dark gruesome actually. So here are three things that I find very intriguing about the BFG. The Language. The BFG speaks in this funny mishmash of semi-English, using words like “filthsome” to describe something yucky, “kiddles” for children, or “human beans” to mean human beings. Really good dreams are called “phizzwizards” and nightmares are “trogglehumpers” – it’s just fun and playful. And of course, my daughters now enjoy using the term “whizzpopping” which means – farting. The potential for some deep conversations. For example, it turns out that Sophie is not the first child that the BFG has essentially abducted. There was a little boy who lived with the BFG for awhile and was eventually discovered by the other giants and eaten. I found that to be deeply disturbing and it raises big moral questions. Should he have taken her? As does the idea that the giants are totally and completely evil for eating people. I mean – are lions evil for eating a gazelle? Are humans evil for eating bacon? There are those ethical questions that this book can raise about our choices in what we eat. The Movie – This past July, Disney and Steven Spielberg teamed up to create The BFG film. It was a beautiful and well crafted movie that does downplay the darkest elements of the book while generally staying pretty true to the main plot points. Also – if you are Downton Abbey fan, Penelope Wilton (who plays Mrs. Crawley) does a phenomenal job as Queen Elizabeth II. It’s worth watching just for that! And I think the DVD will be released by this November, so the timing should work out to watch the film after you read the novel. The second middle grade option for the Global Read Aloud is Sara Pennypacker’s Pax. The novel starts off with a heart-wrenching scene of a boy, Peter, intentionally abandoning his pet fox by the side of the road. Eventually, you come to realize that Peter can’t keep the fox, named Pax, because his father has enlisted in the army and so Peter has to go live with his grandfather. The chapters alternate between Peter’s point of view and the perspective of the fox as he tries to survive in the wild and desperately hopes his boy returns for him. And after a guilt-ridden couple of days, Peter does run away to try to find him. The novel is set in an undefined place and time, and I found that aspect of the book to be really interesting. It could be the United States or maybe Canada and there are clues along the way that help you narrow it down a bit. For example, there are modern-ish vehicles and they mention the kids playing baseball. But you’re never really sure, and I think that dimension of this book could lead to some deep conversation and debate with kids. How this novel explores the concept of being inseparable. When Peter first arrives at his grandfather’s house, he discovers an old picture of his dad as a kid with a pet dog. The grandfather describes them as “inseparable” and that idea of being inseparable gnaws at Peter and he almost becomes obsessed with the idea. I just love how the book explores that idea from all different angles – the father who left to fight in a war, his own mother who died just recently, and now leaving his tame and vulnerable fox on the side of the road. It really asks us to think about whether or not being inseparable is the highest form of bonding and love. The perfect symmetry of the ending. And – I don’t want to spoil it at all by revealing what happens, but oh my gosh – it is powerful and not at all what I expected to happen. Pax is so much more than I’ve just described – I haven’t even mentioned the characters Vola or Gray or all the issues that come as Peter and Pax try to make their way through this worn-torn country to find each other. Pax is so good. It’s about war, and loyalty, and loss. I’m excited and intrigued to see what this novel brings out in my students this fall. I hope you decide to sign up for the Global Read Aloud this year with your students or read aloud with your kids. I’ll be doing both – reading Pax to my 5th graders at school and my 9 and 7 year old at home. But even if you don’t do the GRA, these are both excellent books to put in the hands of a middle grade reader. Two things really came together to push me to into launching a podcast about middle grade readers and middle grade books. First, I simply LOVE listening to podcasts. I have a 30 minute commute to work each day and podcasts like Stuff You Should Know, RadioLab, and Serial make my drive bearable. If I’m doing the dishes or cleaning, I pretty much always have an earbud stuck in my ear. And last year I started to listen to more kidlit focused podcasts like Let’s Get Busy (which is now All the Wonders), The Yarn, Scholastic Reads, and KidLit Drink Night. So I knew how much a podcast could have an impact and really give value to someone. But there wasn’t a podcast that solely focused on middle grade books and readers. Second, I started to become more open and interactive about my reading life both online and in person. And take my role as a reading advocate more seriously. So, on Twitter and Facebook and Instagram, I’d share what I was reading with my students and my daughters. And I’d ask for others suggestions, too. Essentially, wherever I went, I was talking to people about books kids would like and how to get them reading. And I noticed that I was having similar conversations over and over again. For example, last June I had a parent stop me in the hallway at school to ask for summer book recommendations and then a few days later, my friend Ilona messaged on Facebook with the same question. Last spring I was swapping ideas with a librarian in our district about March Book Madness and some creative ways she had to get students recommending books to each other, and then I’d have the same conversation on Instagram when I posted photos of our book brackets. And I kept thinking, “Oh, I wish you had been there when we were just talking about this!” I really wanted a way to share the essence of those conversations with more people. So that – combined with the thought that there seemed to be a space in that middle grade podcast niche – pushed me to start this Books Between Podcast last summer – a podcast focused on readers between 8 and 12. I decided to teach myself the basics of GarageBand and get over the fact that I hate the sound of my own voice, and push myself to do something new and little uncomfortable. I am truly humbled by how many people have reached out to say they’ve enjoyed the episodes so far and are finding value in the podcast. So stay tuned because I have lots more interesting topics planned for upcoming weeks, fantastic new books to talk about, and an exciting announcement which I can’t wait to share with you. Alright – that wraps up our Q&A section this week. If you have a question about how to connect children between 8-12 to books they’ll love or an idea about a topic we should cover on a future episode, please email me at booksbetween@gmail.com or message me on Twitter/Instagram at the handle @Books_Between. Thank you so much for joining me this week. You can find a full transcript of this show, and all the other episodes, at our website – BooksBetween.com with links to every book and resource I mentioned today. And, if you have gotten some value out of this show, I’d really appreciate a quick review or rating on iTunes or Stitcher so others can find us as well.